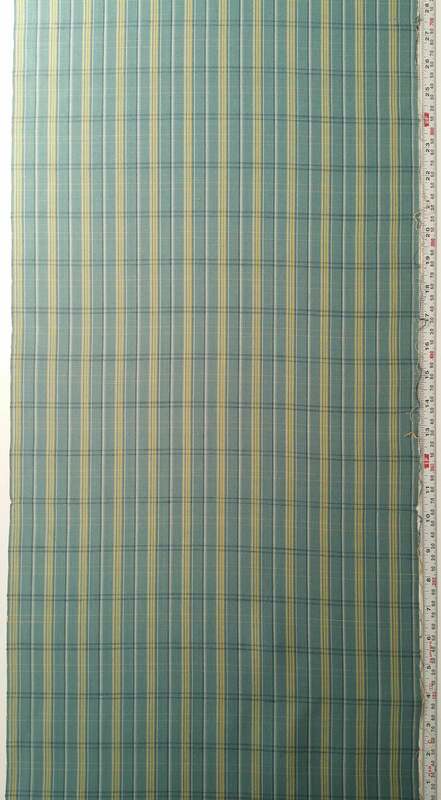 This silk fabric has a woven pattern of blue-green, white, black and yellow stripes. 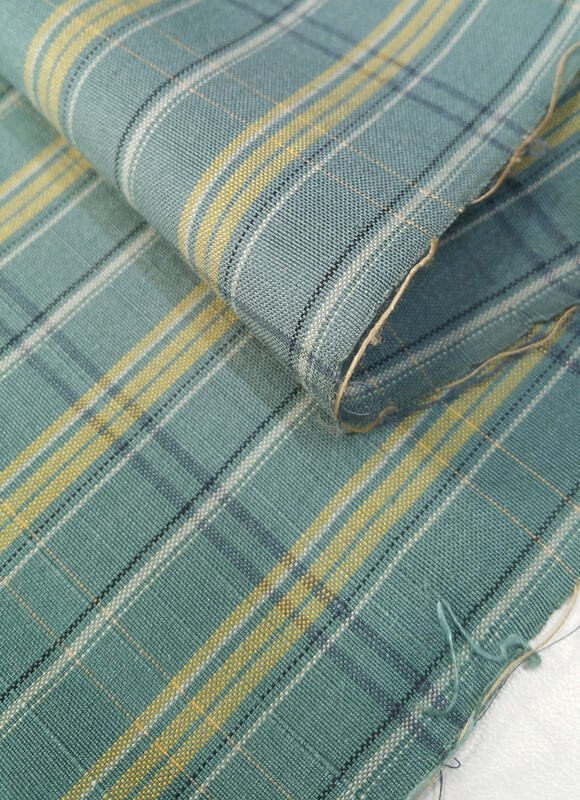 Typical of tsumugi, this fabric has slubbing, although this tsumugi is a bit smoother and has less slubbing than other tsumugi silks that I currently offer. Tsumugi is created out of pre-dyed threads. 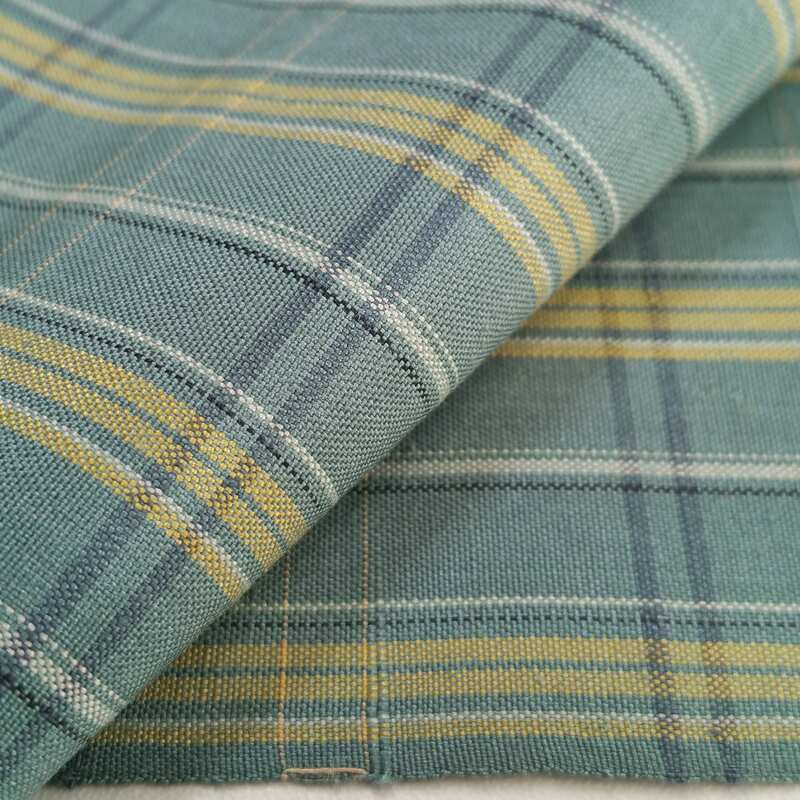 The warp and weft threads are different colors (called shot fabric) giving the fabric a wonderful depth of color. Traditionally the weft threads of tsumugi are black. 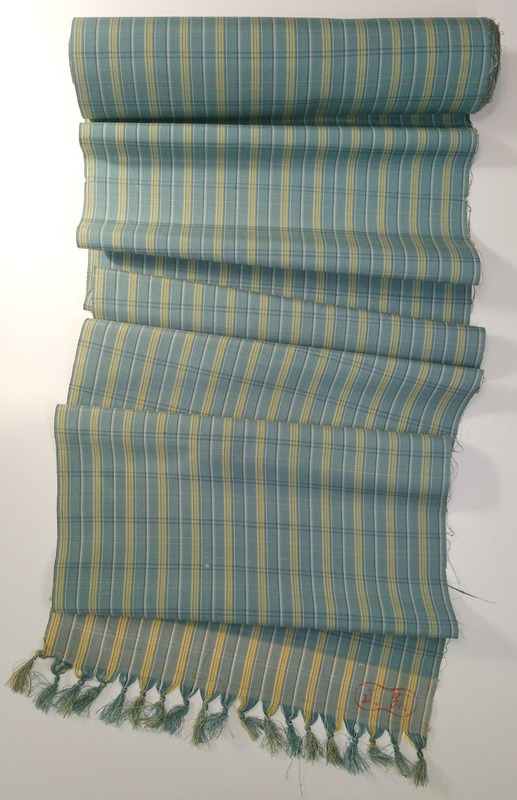 The weft threads of this fabric are a blue gray color while the warp threads are a black, white, golden yellow and blue-green color. 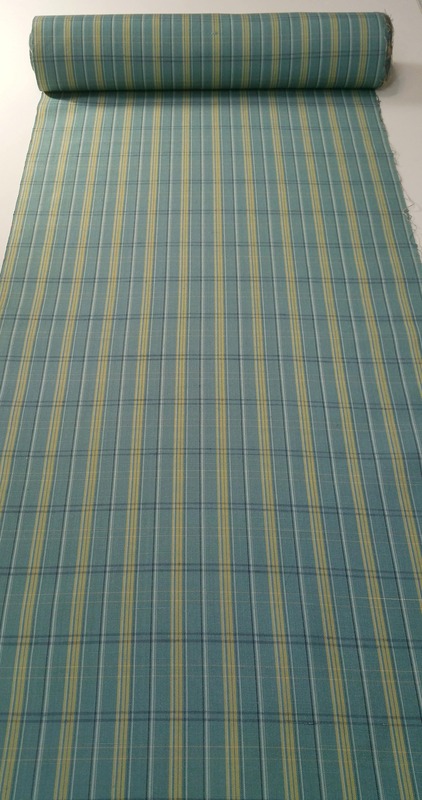 This creates a blue green hued fabric that appears more blue or more green, depending on the light. 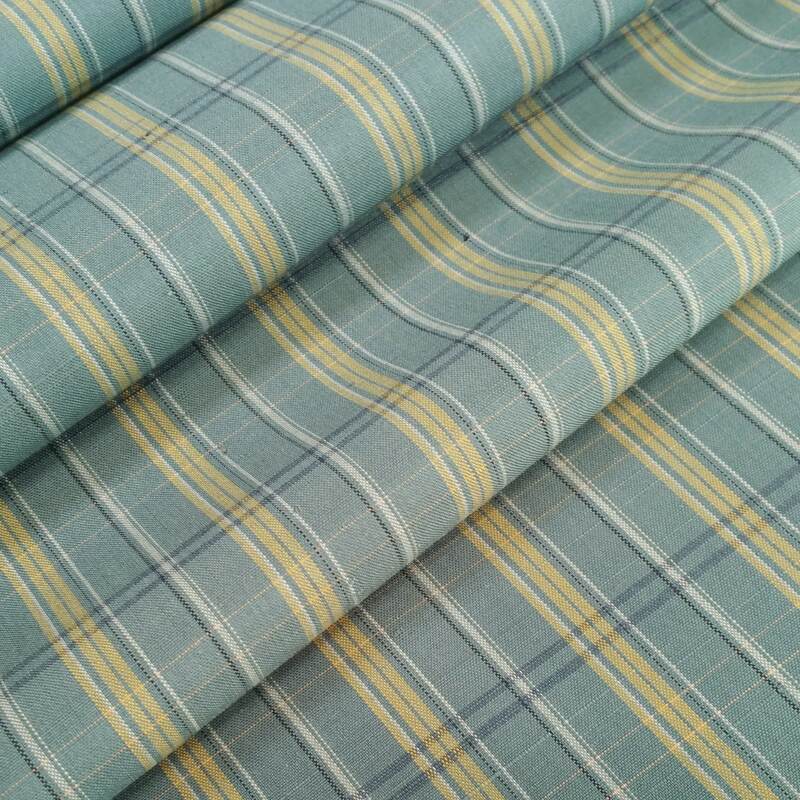 The color has a great depth and changes in the light due to the different colored warp and weft threads. The last photo shows the colors most accurately. 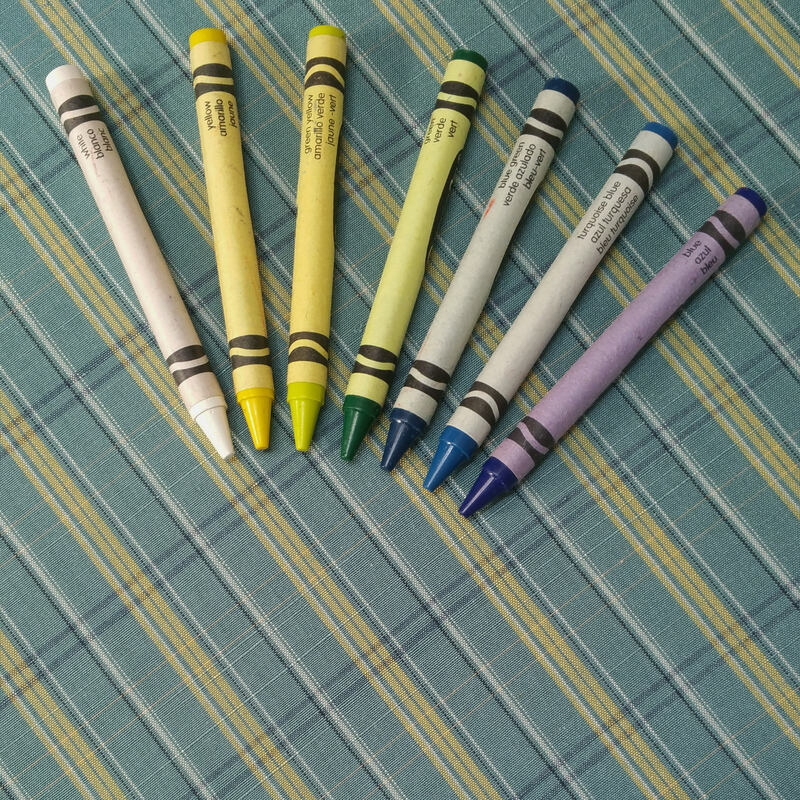 Crayola brand crayons were placed in the photo for color comparison. 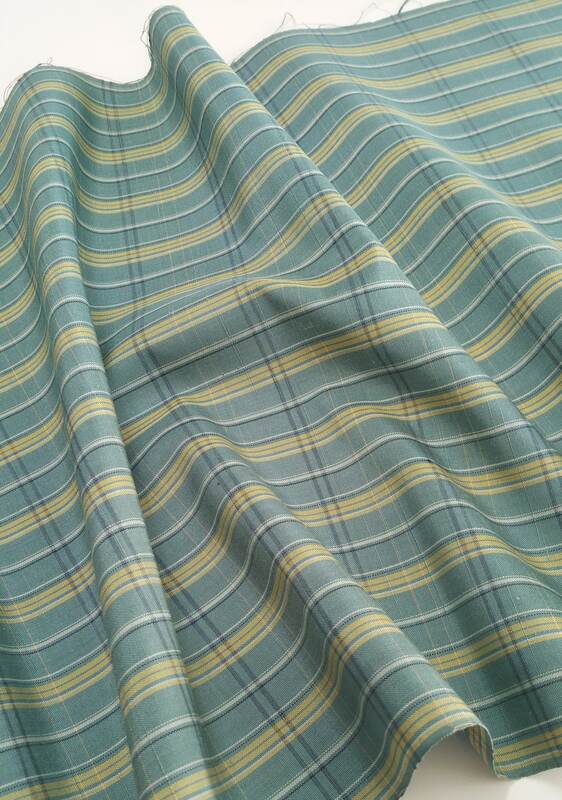 The sheen of this fabric made it difficult to capture the color accurately. It changes from a blue-green to a lighter green, with blue hues, depending on the light and angle. I took these photos in natural light and the color is showing up a little lighter (a little washed out) than seen actually. This is due to the sheen of the fabric. 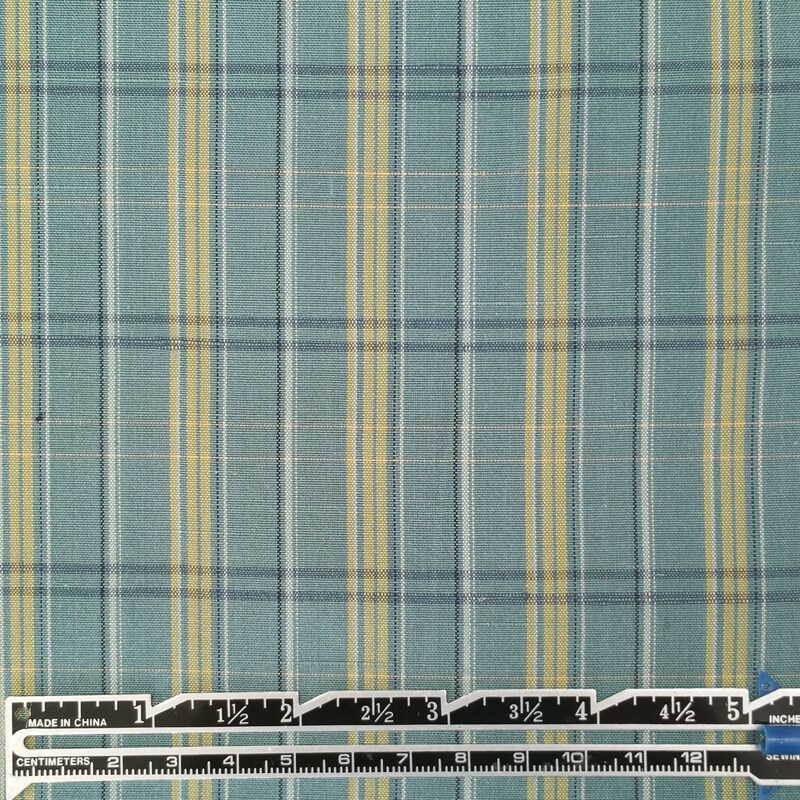 If you are trying to match this fabric to another item I highly suggest requesting a sample. Please enlarge the photos to see the wonderful color and texture of the silk. 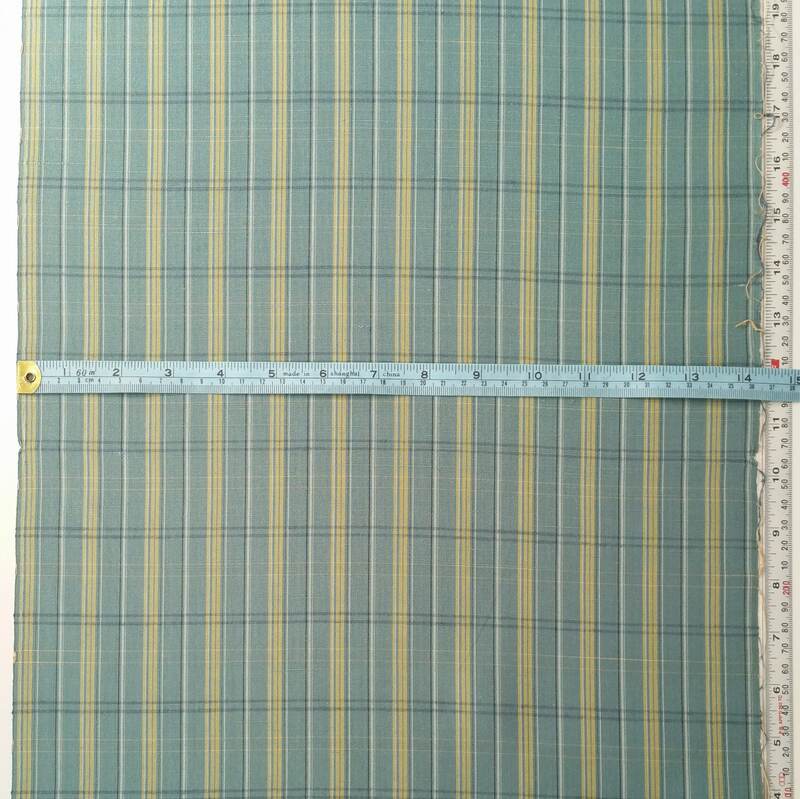 -Fabric is 14 3/8 inches (36.5 cm) wide.